I want to know Christ and experience the mighty power that raised him from the dead. I want to suffer with him, sharing in his death, so that one way or another I will experience the resurrection from the dead (Philippians 3:10-11 NLT). Saying, The Son of Man must suffer many things, and be rejected by the elders and chief priests and scribes, and be killed, and be raised the third day. 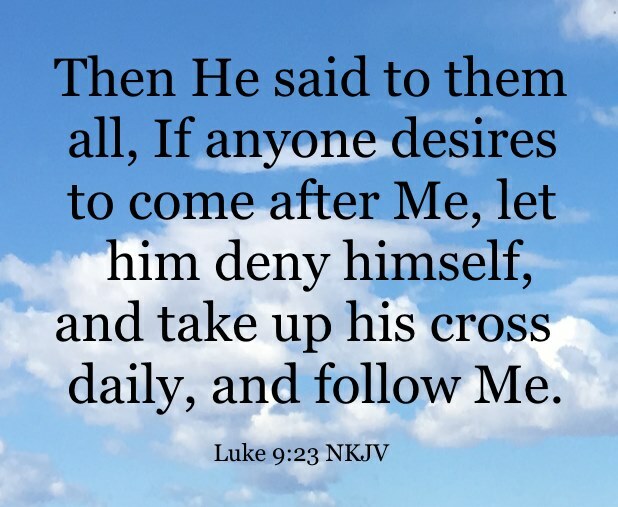 Then He said to them all, If anyone desires to come after Me, let him deny himself, and take up his cross daily, and follow Me. For whoever desires to save his life will lose it, but whoever loses his life for My sake will save it. For what profit is it to a man if he gains the whole world, and is himself destroyed or lost (Luke 9:22-25 NKJV)? The cross is the symbol of death. In Roman times, when criminals carried the cross they were crucified, just like Jesus experienced even though He was not a criminal. We lose our life when we take up the cross. Only we do not die literally like Jesus did - He did that in our stead. We only die figuratively. We know this is repentance, turning from the direction we were heading, to God, to Jesus Christ. The first time we experience repentance, is when we are born again: when we obey the Gospel by being obedient to Acts 2:38. After that though, it is just like Jesus says, we must take up the cross (die) on a daily basis. We are humans, we will always make mistakes, we will always need to repent, always need to die to self, on a daily basis. When we do this, we are following Him, taking up the cross daily, and constantly turning to Him, living and leading a repentant lifestyle. 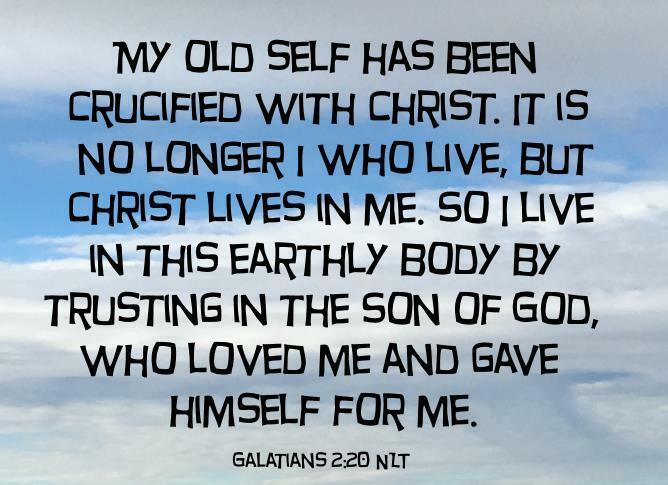 In Galatians, Paul also explains that after he was crucified with Christ, that it was no longer himself that lived, but it was Christ in him. Paul can readily say that Christ lives in him, because he was filled with the Holy Ghost (Acts 9:17), with the evidence of speaking in tongues (1 Corinthians 13:0. Jesus is the Holy Ghost! We clearly see this Bible truth when we review Jesus is God and Rest in Jesus. We all need to be filled with the Holy Ghost (Acts 2:38) to have Jesus live in us. Then to Adam He said, Because you have heeded the voice of your wife, and have eaten from the tree of which I commanded you, saying, ‘You shall not eat of it’: “Cursed is the ground for your sake; In toil you shall eat of it all the days of your life. Both thorns and thistles it shall bring forth for you, and you shall eat the herb of the field. In the sweat of your face you shall eat bread till you return to the ground, for out of it you were taken; For dust you are, and to dust you shall return (Genesis 3:17-19 NKJV). 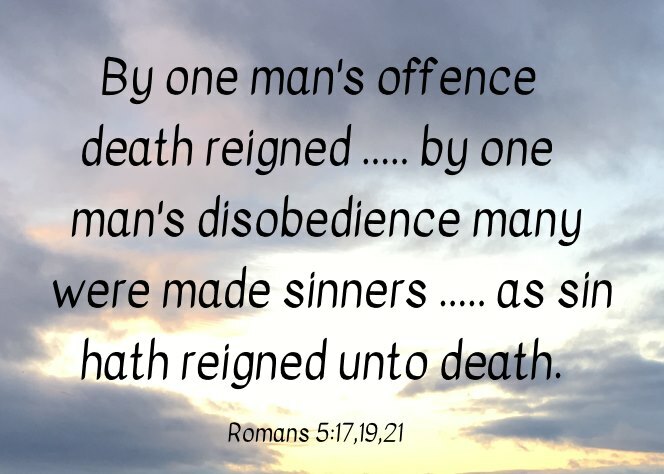 By one man's offence death reigned ..... by one man's disobedience many were made sinners ..... as sin hath reigned unto death (Romans 5:17,19,21). Therefore we do not lose heart. Even though our outward man is perishing, yet the inward man is being renewed day by day. For our light affliction, which is but for a moment, is working for us a far more exceeding and eternal weight of glory, while we do not look at the things which are seen, but at the things which are not seen. For the things which are seen are temporary, but the things which are not seen are eternal (2 Corinthians 4:16-18 NKJV). Therefore do not worry, saying, ‘What shall we eat?’ or ‘What shall we drink?’ or ‘What shall we wear?’ For after all these things the Gentiles seek. For your heavenly Father knows that you need all these things. 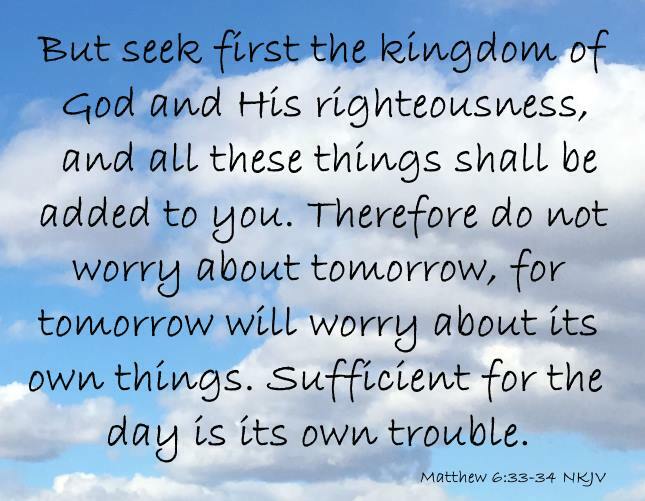 But seek first the kingdom of God and His righteousness, and all these things shall be added to you. Therefore do not worry about tomorrow, for tomorrow will worry about its own things. Sufficient for the day is its own trouble (Matthew 6:31-34 NKJV). Women received their loved ones back again from death. But others were tortured, refusing to turn from God in order to be set free. They placed their hope in a better life after the resurrection. Some were jeered at, and their backs were cut open with whips. Others were chained in prisons. Some died by stoning, some were sawed in half, and others were killed with the sword. Some went about wearing skins of sheep and goats, destitute and oppressed and mistreated. They were too good for this world, wandering over deserts and mountains, hiding in caves and holes in the ground (Hebrews 11:35-38 NLT). If the world hates you, you know that it hated Me before it hated you. If you were of the world, the world would love its own. Yet because you are not of the world, but I chose you out of the world, therefore the world hates you (John 15:18-19 NKJV). Behold, I send you out as sheep in the midst of wolves. Therefore be wise as serpents and harmless as doves. But beware of men, for they will deliver you up to councils and scourge you in their synagogues. You will be brought before governors and kings for My sake, as a testimony to them and to the Gentiles (Matthew 10:16-18 NKJV). 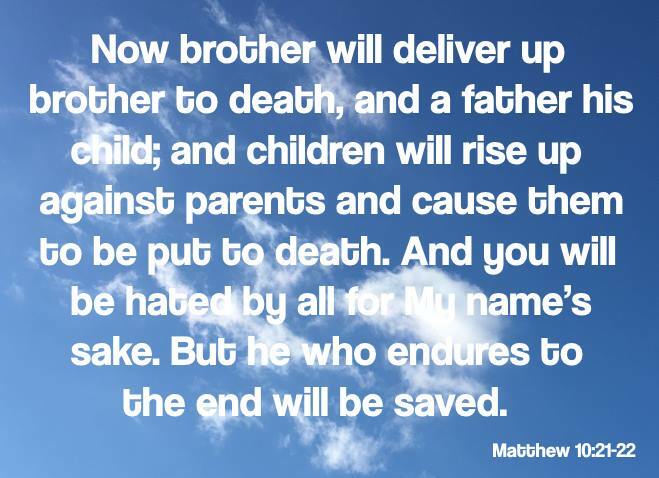 Now brother will deliver up brother to death, and a father his child; and children will rise up against parents and cause them to be put to death. And you will be hated by all for My name’s sake. But he who endures to the end will be saved (Matthew 10:21-22 NKJV). Blessed are they which are persecuted for righteousness' sake: for theirs is the kingdom of heaven (Matthew 5:10). Yes, and all who desire to live godly in Christ Jesus will suffer persecution (2 Timothy 3:12 NKJV). That is exactly what has happened. There are estimates that about 2 million Christians were martyred by 325 AD. Today, there are estimates that 90,000 Christians are martyred each year. Finally, my brethren, be strong in the Lord and in the power of His might. Put on the whole armor of God, that you may be able to stand against the wiles of the devil. 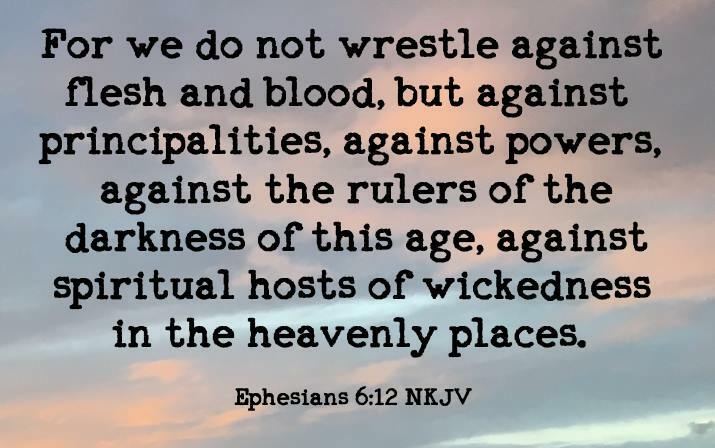 For we do not wrestle against flesh and blood, but against principalities, against powers, against the rulers of the darkness of this age, against spiritual hosts of wickedness in the heavenly places (Ephesians 6:10-12 NKJV). 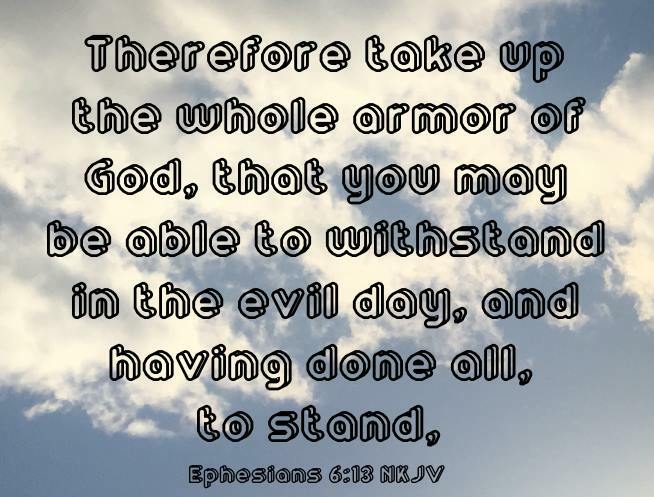 Stand therefore, having girded your waist with truth, having put on the breastplate of righteousness, and having shod your feet with the preparation of the gospel of peace; above all, taking the shield of faith with which you will be able to quench all the fiery darts of the wicked one. And take the helmet of salvation, and the sword of the Spirit, which is the word of God; praying always with all prayer and supplication in the Spirit, being watchful to this end with all perseverance and supplication for all the saints— and for me, that utterance may be given to me, that I may open my mouth boldly to make known the mystery of the gospel, for which I am an ambassador in chains; that in it I may speak boldly, as I ought to speak (Ephesians 6:14-20 NKJV). What Paul is saying is that when we are suffering spiritual attack, one way to defeat evil is to boldly teach the gospel of Jesus Christ to the lost, just like Paul did every day of his life. 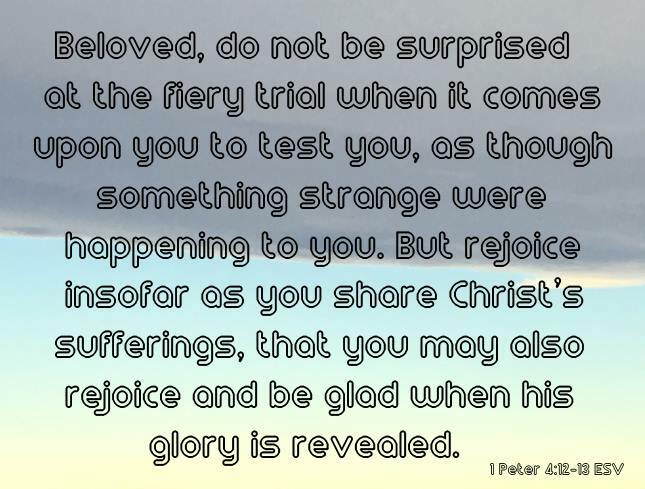 Beloved, do not be surprised at the fiery trial when it comes upon you to test you, as though something strange were happening to you. But rejoice insofar as you share Christ's sufferings, that you may also rejoice and be glad when his glory is revealed. If you are insulted for the name of Christ, you are blessed, because the Spirit of glory and of God rests upon you. But let none of you suffer as a murderer or a thief or an evildoer or as a meddler. Yet if anyone suffers as a Christian, let him not be ashamed, but let him glorify God in that name. For it is time for judgment to begin at the household of God; and if it begins with us, what will be the outcome for those who do not obey the gospel of God? And “If the righteous is scarcely saved, what will become of the ungodly and the sinner?” Therefore let those who suffer according to God's will entrust their souls to a faithful Creator while doing good (1 Peter 4:12-19 ESV).